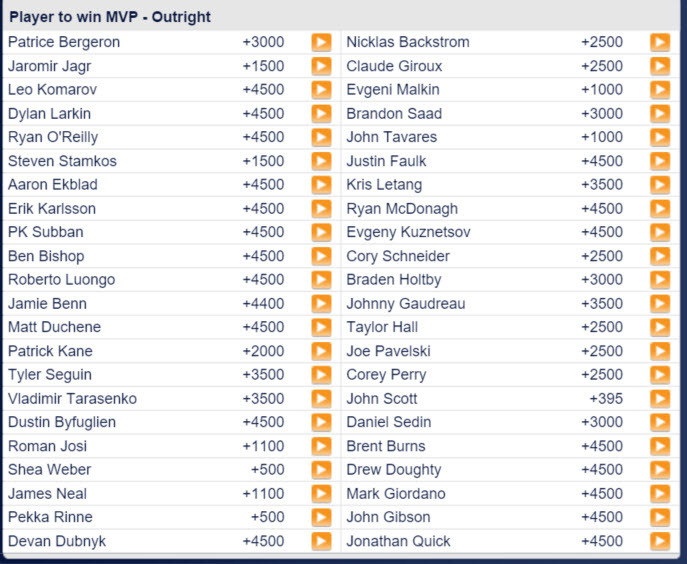 Crazy to see that John Scott is favoured for MVP! Especially when you consider that the over/under on his goals in the semifinal is 0.5. But the fans have chosen Scott once before, and it looks like the oddsmakers are expecting them to pick him again as All-Star MVP. This year’s format is a 3-on-3 tournament. The Metropolitan Division All-Stars will play the Atlantic and the Pacific will play the Central, with the winning teams meeting in the final. Games will be 20 minutes and they will change ends halfway through. 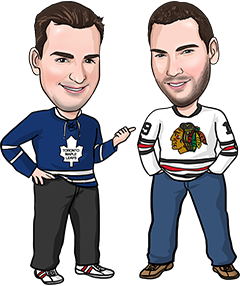 For more on the format and the All-Star teams, check out www.nhl.com. 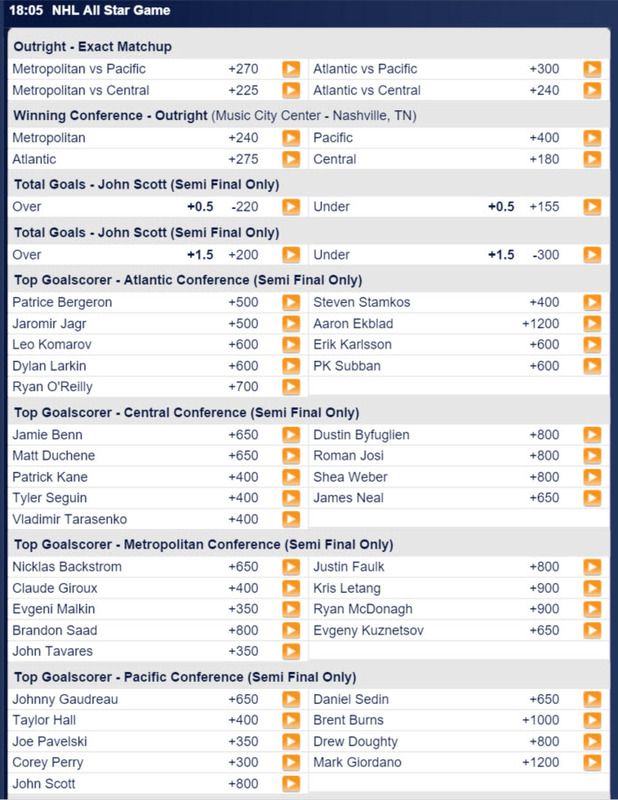 Here are the NHL All-Star props from Sports Interaction to wet your appetite. Talk to you guys again soon.